Sure, I'm a girl who appreciates a good tequila (Patron Silver or Tres Generaciones Anejo, please) but there is something so wonderful about little bubbles rising to the top of a Champagne glass. Champagne is a happy thing. It's the beverage we toast when we celebrate, when life is going absolutely right, when we are with the people who make us feel good. Champagne is a drink of moments--the graduation party, the engagement, the just-because-I-love-you moments in life. So, choosing a Champagne isn't a task left to whimsy. I recently met up with Top Foods Wine & Spirits expert Jules as she helped me buy the perfect Champagne. Who knew there were masculine and feminine Champagnes?! What did I end up buying? 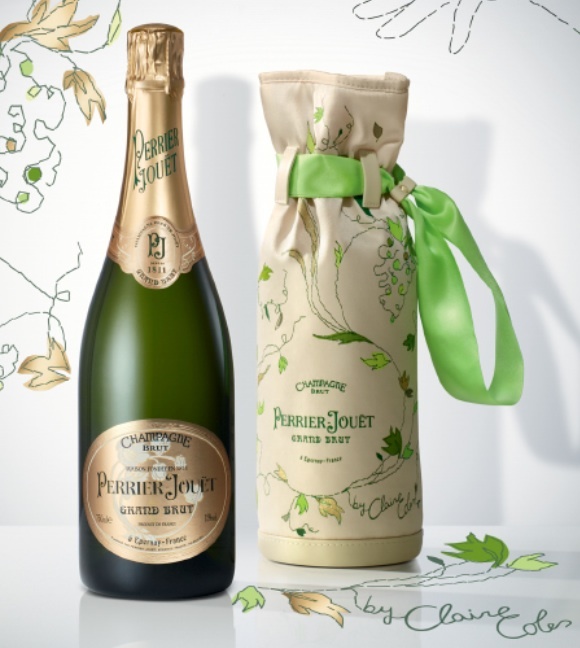 The Perrier-Jouet Grand Brut, with its light sparkling bubbles that remind me of a summer's afternoon in France. What is your celebratory drink?